In 2007 the AAA (Amateur Athletic Association) received a generous bequest from the late Alice and Lewis Pink, to fund children’s activities in memory of their son who was tragically killed in an accident in the early 1970’s. After discussions with the Pink family, the AAA agreed to use the money to fund a series of children’s events in support of and leading up to the 2012 Olympic Games in London. The event is supported by England Athletics and local Athletics Associations. Relay races include trying to beat the times of some of our great distance runners with “Keeping up with Paula”, “Chasing Kelly” and “Chasing Steve” and on the field, Sportshall activities such as weight throw for height, caber toss, shot put, standing log and triple jump, highland steps and soft javelin are performed. 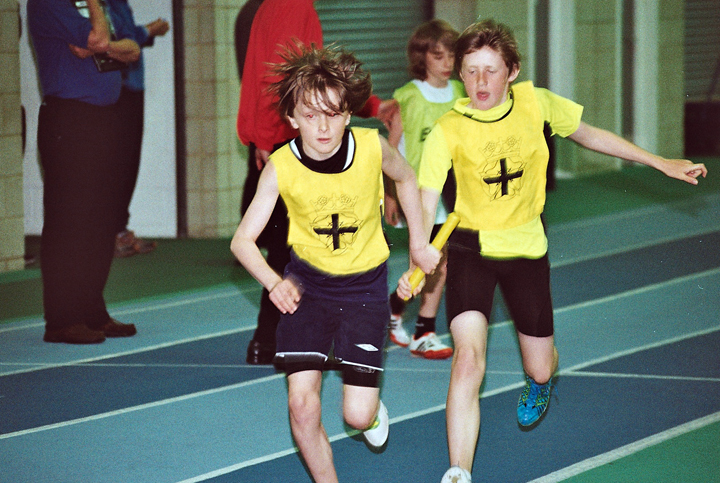 The Amateur Athletic Association believes the Tom Pink Relays provide a very important introduction for our youngsters to be involved in competition at an early stage of their lives. The Tom Pink initiative, now in its fifth season, has brought much fun and enjoyment already to over 4,000 children and the popularity of the event goes from strength to strength.